It is small enough that you can keep it inside when you need to, and large enough to grow seedlings to transplants, plus a few plants to keep indoors, like tomatos, lettuce and cucumbers. My plan is to start my spring garden seedlings this month, and some romaine, tomatoes, and cucumbers to keep indoors until it’s time to grow them outside. 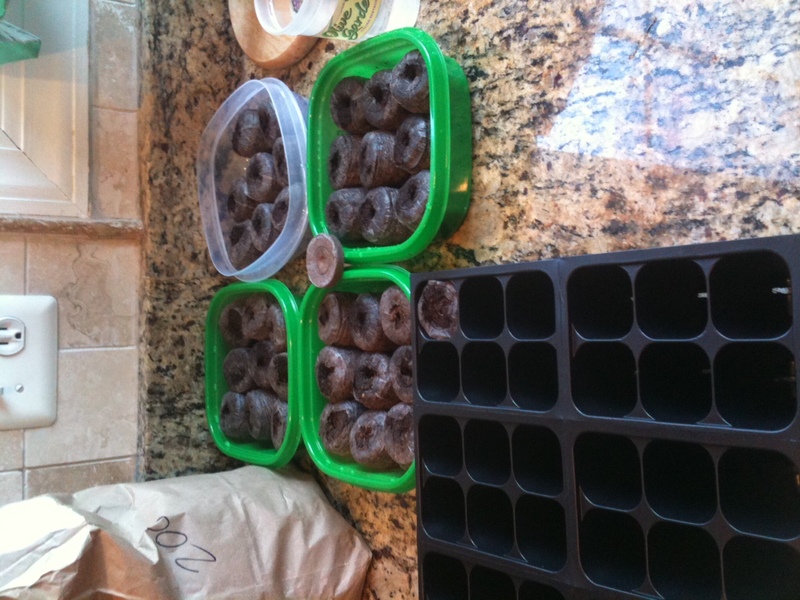 I will start some seedlings again later for the summer garden as it gets closer to time. I have found that the key to getting things going is having the right tools. This year, I used Amazon with the free shipping, and huge selection I was able to get all I needed, from soil to seeds. In the past I have used loose soil, and while that’s definitely more cost effective, I was less likely to get it done because I had to be outside to maintain less mess. 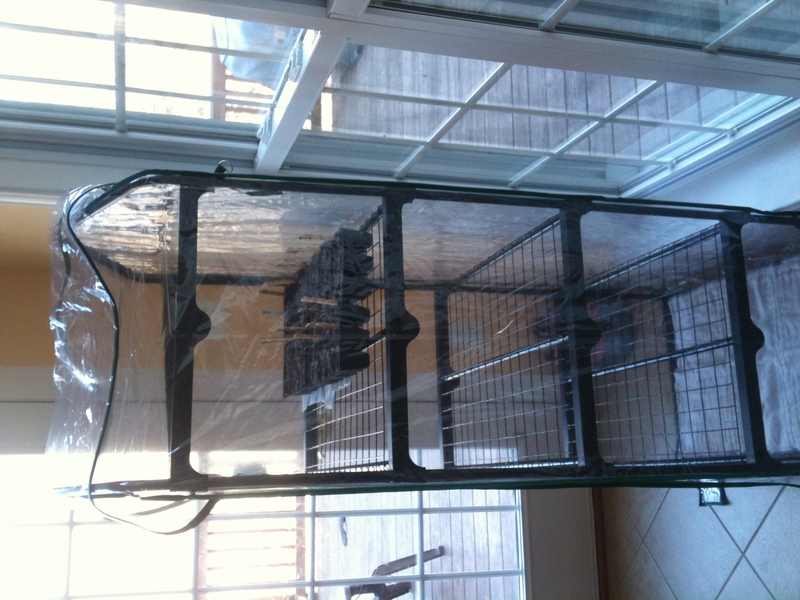 This year, I ordered the compressed soil and trays. All I had to do is hydrate the soil, add it to my trays, add some seeds and put it on the greenhouse shelf. It was so easy, and I had no mess. I found that with the trays I chose, the best way to fit them was to soak the soil, then shape it (smaller at the bottom), then insert it into the tray/slot. This was so easy, and because it’s surrounded with a sort of netting, it didn’t break apart when I was setting them into the tray. 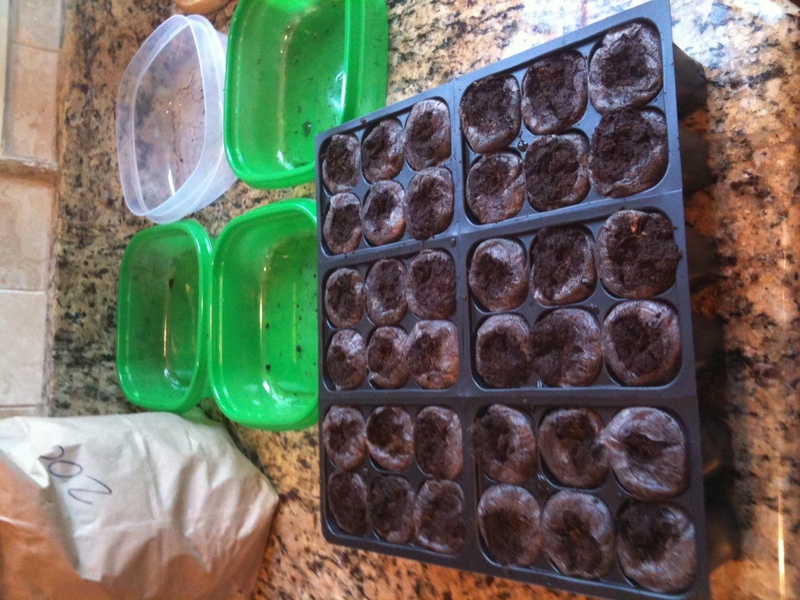 Once the trays were filled, I made a little well in the center of each one, and put 2-3 of my seeds. For the spring, I am planting: Celery, Cabbage, Brussel Sprouts, onions (for bulbs, and scallions), Collards (I am from the south, originally :)), Broccoli, and Kale. I am also going to be planting carrots, potatoes, beets and Romaine, but they will go directly into the ground (except the Romaine, but it’s too early to start the Romaine for the outdoor garden). I couldn’t find my little label/plastic inserts, so I used half clothes pins to label my seeds. It’s important to keep track as you go, because you will not know what is growing if you don’t! 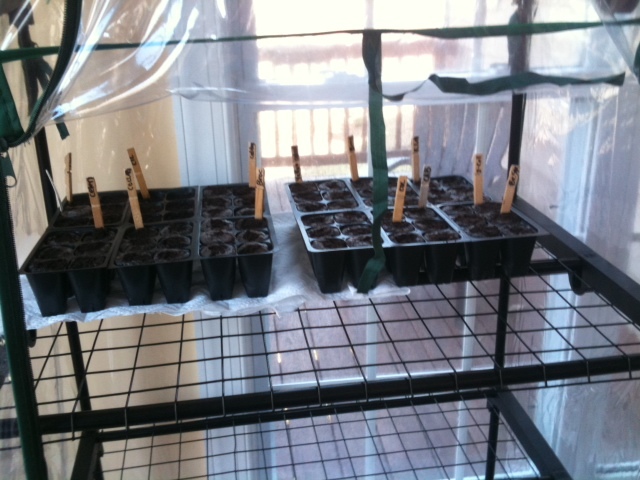 Next, I placed them on the greenhouse shelf, next to a sunny window, and I am ready to watch them grow. I will post pictures of the seedlings, it usually takes about 10 days to see the first sprouts. How are your products better than what I get at the store? What is the difference? The difference is that there are no chemicals in our luxury line of skin and baby care products. Our products are good for you and good for the environment. The main two product ingredients we use are the emu oil and the kukui oil. Both of these products have been researched well and that’s why we trust using them in our products. They can be found in a lot of our products. They are found in our eczema oil. Such a healing and gentle oil, I love to use it on my dry elbows as well as my eczema patches. By the way, I love the roll on top. That just makes it easier to apply to my face multiple times per day. Both oils are also found in our belly oil. The belly oil is an all natural oil that heals and can prevent stretch marks. These two oils have many different uses and many healing properties. My next two articles will describe exactly what each one can do for you. Meet me back here in a few days so we can discuss the benefits of the special oils in our products. We are finally catching on to what the Hawaiians have known for years. Kukui nut oil is known for it’s moisturizing tendencies and healing nature. It is found native to Hawaii. Let’s explore the ways it’s used. Mature skin needs more help then skin that is more youthful. The kukui oil will seep down into the layers of the skin. Very deep healing occurs from the inside out. When this oil penetrates your skin it allows your pores to breathe. This oil contains naturally occurring vitamins A, E and it is also high in oleic acid, and linoleic acids. These are the antioxidents that help keep your skin more youthful. Like the emu oil, the kukui oil also leaves no oily residue behind. Once it deeply penetrates the layers of skin it then gives your body a protective coating and deeply moisturizes without blocking your pores. It minimizes the fine lines and wrinkles that pop up on your face. Because of the moisturizing effect that makes it a great oil to use if you get a sunburn. This oil is beginning to appear in skin care products and sunblock. Kukui oil is predominently used for preventing and treating stretch marks or moisturizing your skin. However, it also does a nice job of conditioning the ends of your hair. We like products that can be used in multiple ways! What items do we sell that the kukui oil is in? We use it most in the eczema oil and in the belly oil. Both products are one of our best sellers…now you can see why! Check your cabinet before that new baby gets here! It’s great when you are going the natural route for most of your skin care. If you are getting ready to welcome a new baby, then you have probably already thought about how to use natural skin care on baby. But have you thought about cleaning out your cabinets to make sure you use all natural ingredients everywhere? Most everyone I know receives baby oil before they have their first baby. Baby oil? Yes, you know the kind in the big clear bottle that we all used to tan with when we were growing up (am I dating myself? lol). I don’t think I ever actually used it on my baby. Do you know what would happen if your baby were to find that baby oil and aspirate it? It would quickly coat baby’s lungs and there is no way to get it back out. This could lead to brain damage or even death. Do yourself a favor and throw it out! It’s not necessary for baby! Household cleaners are another area that is great to tackle before baby gets here. I tend to use just baking soda and vinegar for most of my cleaning needs. They are both safer options than any chemically induced cleaner. I use the baking soda paste to clean tubs and sinks. If my drains get clogged these two are also my first products I go for. As long as they aren’t clogged to the point of lots of water sitting in your sinks or tubs these two items work great. You use a cup of baking soda and put it down the drain. Add a cup of vinegar to the drain and then pull the drain closed (the two interact causing bubbling and fizzing, closing the drain forces it to go the direction of the clog). After a minute or so flush it out with 4-6 cups of hot boiling water and voila…it’s unclogged! Doing this is so much kinder on our pipes, our water treatment and our Earth! It’s better for us to cut as much chemicals out of our lives as possible. Vinegar is also a great window cleaner. 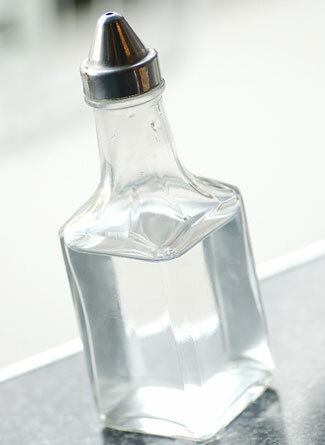 Use 1/3 cup of vinegar, 2 cups of water and a few drops of dish detergent to a spray bottle. Spray on, wipe off. You can wipe off with newspapers (although the way papers are going in this day and age you aren’t as likely to have them lying around. So you can do what I do and use a microfiber towel or a plain old kitchen towel to dry it off. I also use vinegar to clean my floors. I add a fourth a cup of vinegar (oh, who am I kidding, I add a few splashes) to my mop bucket. If you are worried about the vinegar smell it fades very fast. Do you have any household cleaner tips you can share with us? It is a slippery slope. When you begin your path down the natural skin care route it tends to take you in directions you never knew you might go down. When I began looking into skin care I had no idea I would end up cloth diapering, wearing my baby and going down the path to trying to be as kind to the Earth as I was being to my children. Now, granted this doesn’t happen to everyone, but I am glad it happened to me! Taking care of your skin naturally is only one step in the direction you might want to take your family. When I first got rosacea, after having eczema, it caused me to begin to look at what items I was applying to my face. It brought me to the Homestead Company’s eczema oil and that actually began to give me some relief. Thank you sweet relief! This search, also, caused me to look at how I can clean my home without using tons of chemicals either. One thing I found is that shark steam floor cleaner. No chemicals and just a good old fashioned cleaning makes me feel good about cleaning for my family and my home. Checking off another awesome step on the natural living pathway. This path of continued learning lead me to choose cloth diapers for my baby. I loved not running to the store to pick up diapers when I ran out. My diaper supply was only as far away as my laundry room. Time to do the laundry! 🙂 Since I had found the Homestead Company’s skin care I also checked out their diaper rash treatments. Their baby wipe companion is a dream for baby’s hurting bottoms! As a loyal customer pointed out, ” and I can pronounce all their ingredients in their products which is something I can not do with items bought at the local drug store. ” Once I was cloth diapering I began to check out the baby wearing scene. I absolutely loved wearing my baby. It freed up my hands to make dinner and he stayed content because he was on me, smelling me, feeling my heart beat and looking at everything I was doing. Baby wearing as a mom most definitely makes your life so much easier. I would never tell you how to live your life. As a mom, this is the path my life ended up taking. That, in no way, means a path someone else is taking is wrong. It just means that we all live the life we are supposed to live. Educating yourself is a constant ongoing process. For me, now I am educating myself on how to eat less meat and more fruits and vegetables. I love that as a mom we can constantly strive to do just a little bit better than the day before. What are you currently educating yourself on? Dina, mom of 3 children, 2 dogs and wife to one husband for the last 17 years. I am a writer for The Homestead Company and love learning about and experiencing new things! Your body benefits when you eat organic non processed foods! I’m constantly striving to do what’s right by my body. It’s a constant struggle. 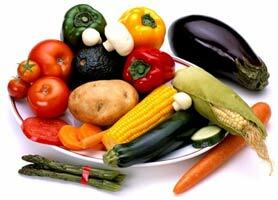 But there are definitely good benefits to eating a highly organic, no processed diet. If you are existing on all the foods in the middle aisles of the store you are not getting the nutrients that your body needs to sustain itself. You often hear that you need to eat on the outside walls of the grocery store and that is exactly right. That is where your calcium, folic acid, vitamins, minerals and protein are. If you are able to buy organic that is so good for you and for the environment. I know not everyone can afford organic. If you can’t afford organic try to get it on the one thing your family eats a lot of. For example, my family loves strawberries and salads. I can’t afford everything organic but these two items I make it a point to buy organic. Cutting animal products back in your diet is also good for your body. Animal products contribute to most diseases found in the U.S. today. When you cut back on animal products and the processed foods, you are eating the way we ate back in the turn of the 20th century. One thing I heard the other day stood out to me. A man was discussing how his family uses meat to flavor their meals. They are not the main ingredient in his meals. Now that is a great way to think of your meat. The average American fills half of their plate with meat. Try this instead, if you have a family of 4 use 1/2 lb ground turkey, in say, making sloppy joes and use lentils for the other 1/2 lb. In this way you are getting the meat texture but you are also getting the lentils which are a superfood! Processed food has stripped away everything that was once good about that food. You end up getting about 1/10th of the nutrients that you would get from eating a whole food (like an apple instead of apple flavored cereal or cookies). I believe that the outside of your body reflects what is going on inside. By making sure you are eating well you can head off other diseases that happen because of eating the wrong foods. Eczema can be thought of as a disorder that shows you when something is going on. We have seen in our own personal experience that when you improve the way you eat eczema flare ups occur less and less frequently. Make sure you eat right for you and your body. After all, this is the only body we get. Treat it right and feed yourself properly with good healing foods.